The greatest obstacle standing in the way of implementing the Trump agenda, which is the agenda of We the People, is a contrary Senate. Although Republicans enjoy a slim majority, a handful of obstinate Rinos voting with Democrats typically leaves the Senate in gridlock. Thus, it is imperative to elect more conservative Republicans to the Senate, ideally gaining a 60-seat, filibuster-proof majority. There are many Democrat Senators up for re-election in November who are vulnerable, chief among them incumbent Democrat Heidi Heitkamp of North Dakota. Cramer, a three-term congressman, took 49 percent of vote in the NRSC poll compared to 44 percent for the incumbent. Seven percent of respondents were undecided. GOP polling firm The Tarrance Group surveyed 500 likely registered voters through live landline and cell phone interviews from Feb. 18-20. The poll had a margin of error of 4.5 points. The NRSC poll also tested each candidate’s favorability ratings. Fifty-three percent of respondents viewed Cramer favorably compared to 29 percent who had an unfavorable impression. Fifty-four percent had a favorable view of Heitkamp, while 38 percent viewed her unfavorably. 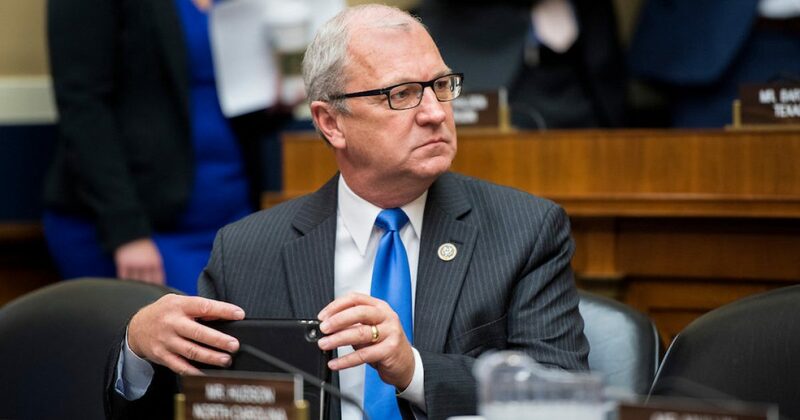 Cramer had initially said he would run for re-election to the House, but changed his mind last month after receiving encouragement from North Dakotans and Republicans in D.C, who felt he would pose the strongest challenge to Heitkamp. He already represents the entire state in the House as the representative of its at-large district.